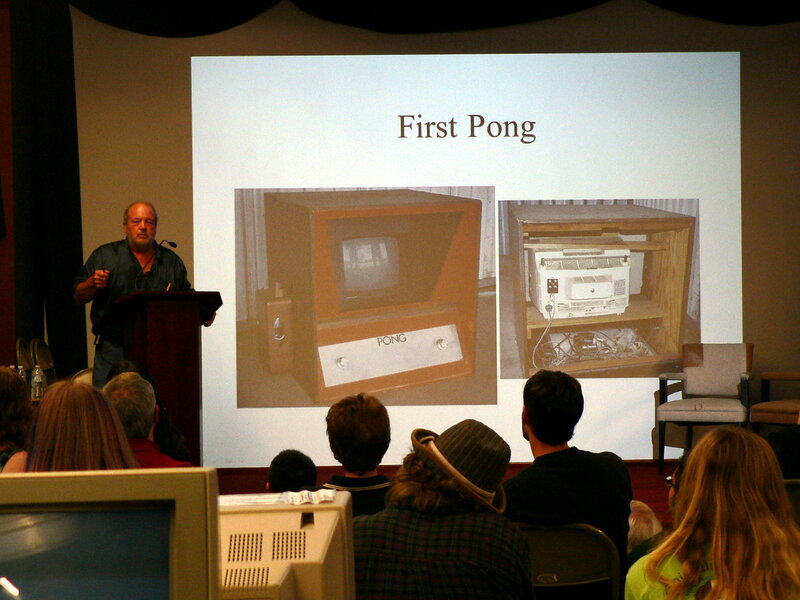 The Digital Game Museum threw an Atari Party yesterday at Cogswell Polytechnical College in Silicon Valley. The highlight was having Al Alcorn come and speak about his work at Atari in the pioneering days of computer games. He was Atari employee number three and created Pong while he was there. 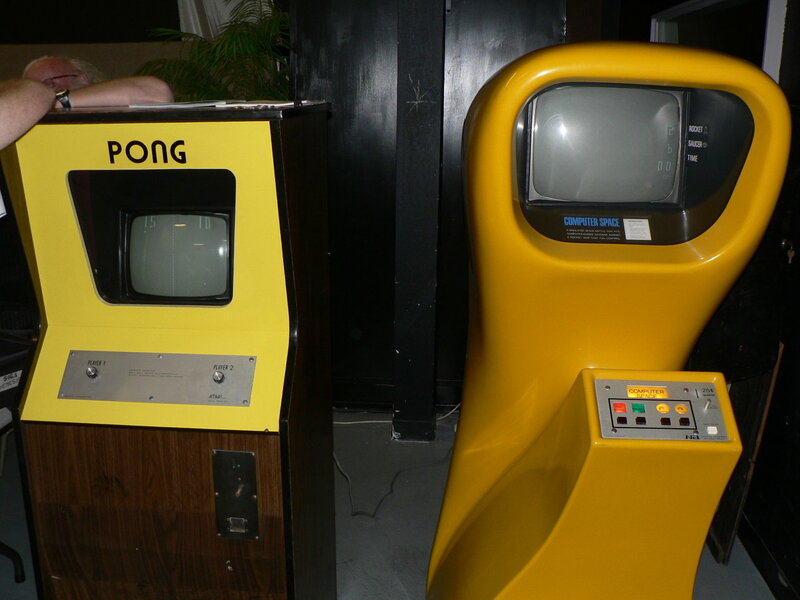 Several other early Atari employees also showed up and graciously shared their stories about making classic coin-operated and console games in the 70s and 80s. 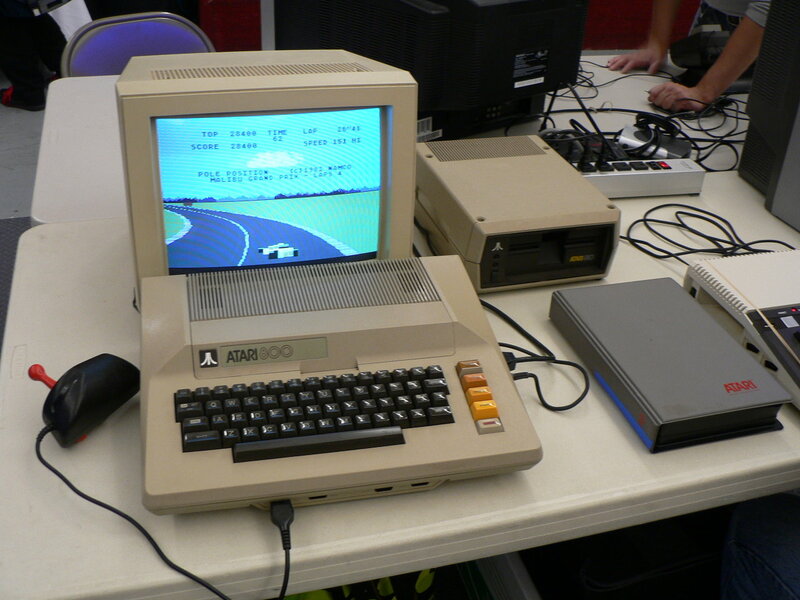 My first computer was an Atari 800, so this whole event was a real treat. On display was the very first Computer Space machine ever built and Pong machine number thirty-two. They both still work and I actually got to play them. Many friends of the Digital Game Musuem brought their classic consoles and collections of cartridge games which they were allowing the visitors to play. I hadn’t played Tron on ColecoVision in a long, long time. I spoke with some representatives from The Digital Games Museum. They are still searching for a permanent home where they can display their collection, so if you know anybody who can help please contact them. Thank you, DGM, for putting on a great event.